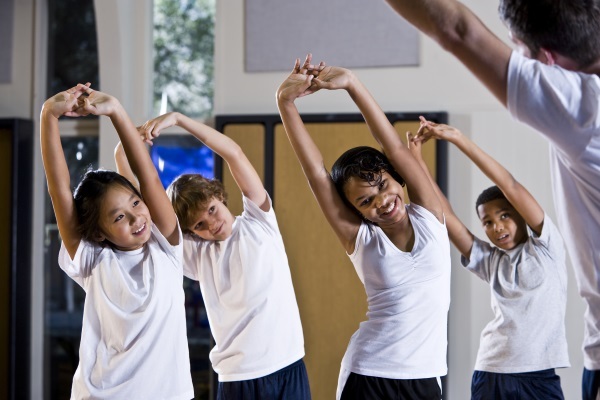 If your physical education curriculum is to get every student moving, it needs to play to their strengths. Simon Scarborough explains how you can make your lessons more inclusive. With a rise in mental health issues reported among young people, and record levels of childhood obesity, it would appear that there has never been a more important time for high quality PE in schools. When I first started teaching, we typically judged PE departments on the success of the school's sport teams. More recently, with the introdution of Progress 8 performance measures, we shifted to measuring Key Stage 4 outcomes as a mark of success. But surely the secret to success for any PE department should be the extent of students' participation in physical activity (in core PE lessons and extracurricular clubs), alongside their physical and emotional wellbeing? For that reason, nothing will make a greater difference to the end results than finding low cost, but high impact ways to improve engagement. What does inclusive PE look like? An inclusive PE curriculum will give every student (not just the sporty ones) the opportunity to participate in lessons, feel valued and hopefully improve their confidence. If you are not convinced that your PE lessons are achieving this, you need to ask why they might not be. It was during a NASENCO workshop on autism that I first encountered the term 'diffability': recognising that children with autism have different abilities, rather than a disability. If this holds true for all other SEND, then surely it is possible – even advantageous– to adapt the content and delivery of lessons so that all students' diffabilities can shine through. Below I have sketched the ways in which we identify and meet needs in PE lessons. You may already be doing some of these things in your own school, but hopefully it's useful to see each action in the context of a step-by-step process. Barriers to learning: What factors or behaviours indicate that needs are not being met? Identify the need: What are the root causes of the above indicators? Review the student’s learning profile to see if it offers any clues as to why they may be encountering specific barriers. Speak to your SENCO, key worker, tutor or head of year/house to find out if recent changes to home life or broader, emerging difficulties may be a factor. Consult any other reports (from educational psychologists or speech and language therapists, for example) that might help you to understand the student’s perspective. Reasonable adjustments: What changes can you make to meet the student's needs? How well is the support you provide in lessons meeting the student’s needs? Do safe and consistent routines support transitions at the beginning and end of lessons? Are changing arrangements appropriate? 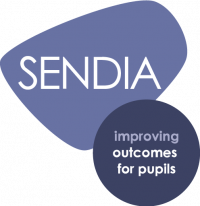 A student with SEN could change in a separate and smaller room or a safe part of the school (such as the SEN department), and be accompanied to lessons. Do lesson activities provide a feeling of security and inspire confidence in that student? Do lessons give all students the opportunity to make progress and feel a sense of achievement? When I first became head of PE I was introduced to Tom, a boy with autism. Tom struggled with the hustle and bustle of noisy changing rooms, and found it difficult to learn in the sports hall due to its size and loud acoustics. Given that Tom had exhibited high levels of stress and anxiety in previous PE lessons, our SENCO decided that it would be better for him to engage in alternative physical activities outside of the core PE lessons. This is a sensible, pragmatic decision, that all parties (most importantly Tom’s parents) got behind. Sensible and pragmatic perhaps, but ultimately, not inclusive. I started to liaise with the SENCO to unpick what Tom’s main barriers to learning were, and decide what reasonable adjustments we could make to include him in PE lessons. We started by agreeing that he could use the changing facility in the SEN department to change into his kit, and be accompanied to the PE lesson by his key worker. We moved him to a different group so that his lessons were in the smaller, quieter ‘old gymnasium’ – a less stressful environment. Tom’s physical development had been slower than that of his peers. But when we started using lesson time to focus on honing social skills (supporting others in the group, leading small groups, creating and adapting activities), the result was a more positive environment that, in turn, helped Tom to feel more confident in his abilities. After a while, Tom began walking himself to lessons, and even changing into his kit in a quiet place in the same changing rooms as his peers. One day we had an entire PE department visit our school to observe how we deliver inclusive PE. They watched a football lesson in which Tom gave constructive feedback to a classmate (who, incidentally, plays football for the county). A far cry from kicking a ball around on his own in a quiet part of the school! A traditional PE curriculum focuses largely on teaching the physical skills we associate with popular sports. As such, it is typically suited to confident students with high levels of physical literacy. But for a significant proportion of students with low physical literacy or low self-efficacy in a physical environment, such a curriculum can have a negative effect. A growing number of PE leaders are choosing to widen the focus of lessons to include other skills and abilities (other than physical strength or agility) with a view to improving engagement and physical literacy across the group. Focusing on developing social skills can increase the confidence of children with SEND, and also creates a more inclusive environment, as their peers provide positive and supportive feedback to them. Focusing on developing tactics and strategies can encourage high-functioning students with Asperger’s syndrome to take lead roles in the group. Allowing students to develop their creativity shifts the responsibility of learning to the learner, giving them ownership of developing their own activities. This can support students with ADHD as they are not being given didactic instructions and being restricted to particular tasks or activities, allowing them to hone a wider range of skills. Focusing on developing personal skills develops a culture in which all students can recognise their own levels of performance and adapt the level of challenge accordingly so that tasks are appropriate to themselves and others in the group. This helps build the confidence of all learners, preventing teachers falling into the trap of praising only the most physically able. Simon will describe five ways to look beyond the curriculum when delivering inclusive PE in a second post, coming soon.